Have you ever wished for an extra hour in the day? Imagine all the things you could get done if you just had one more hour. The “Midnighters” have that extra hour, but they also have a slew of villains that come with it. 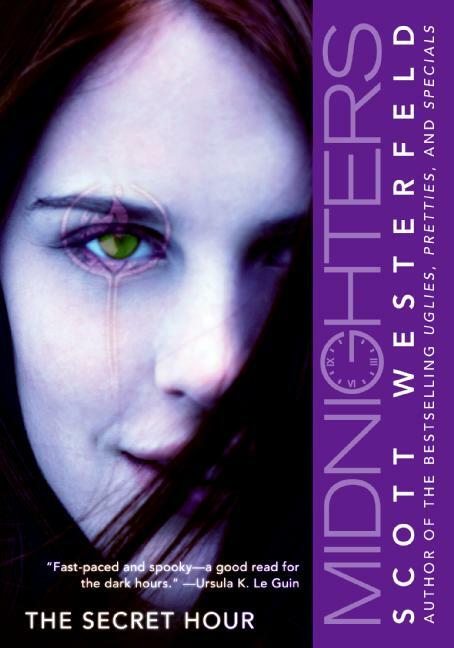 In The Secret Hour, by Scott Westerfeld, there are 25 hours in each day, but only those born at exactly midnight, “Midnighters,” can live in the 25th hour. To all others the hour passes in an instant. The hour was created by the villains of the book, Darklings, to have a place to live relatively untouched by the human world. Each Midnighter has a special power to help them in the secret hour. For instance, one is a polymath (able to quickly solve complex math equations in their head) and another can read minds. The Darklings leave the Midnighters alone for the most part, that is until Jessica Day arrives in town, then the Darklings want nothing more than to kill Jessica and the Midnighters have to find out why. In general, I liked this book. The story moved along at a relatively fast past with few slow points. I was really intrigued by the idea of the 25th hour and I loved reading about the different powers each of the kids possessed. I always thought it would be fantastic to be able to read the minds of others, until I read about the mind-reader in this book, always bogged down by everybody’s thoughts and emotions, unable to tune them out. I liked the chemistry between the characters and felt the dynamic between them all was different than in most books. This book is the first one in a trilogy and even though I thought the first book was entertaining and fun to read, I am not sure how I feel about reading two more in this series. Am I going to read them? Probably. Am I dying to read them. Nope. It was a fun, simple read, but it didn’t pull me through to the next book, so even though I would call it good, I wouldn’t call it great.